As you know, kitchen is the place that fuels us, it ought to be a convenient place so that cooking becomes a joy. 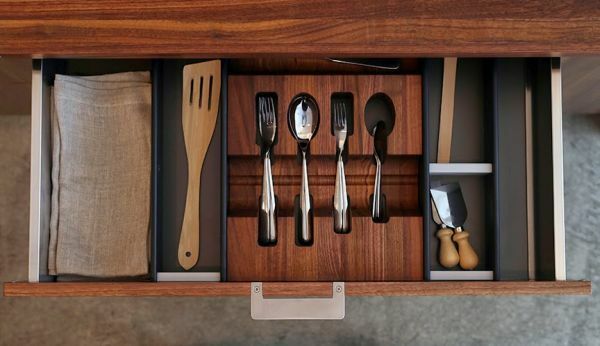 Here are a few stylish ways to deconstruct your kitchen, minimize the clutter and enhance the everyday experience. An interesting design and utility element that you can add in your kitchen is a metal perforated sheet on the walls. With the help of ‘S’ hooks hang kitchen tools and utensils on it. 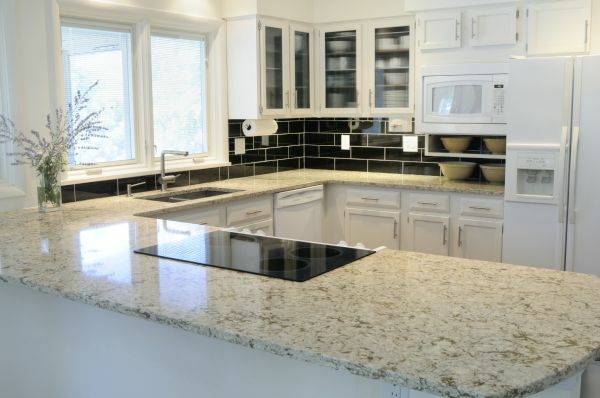 This would give you spacious countertops and more breathing space in the kitchen. Either you can use stainless steel perforated sheets or colored sheets to enhance the appeal of the kitchen. Choosing vibrant colors of the sheets will highlight the kitchen and of course, utility is the added advantage. 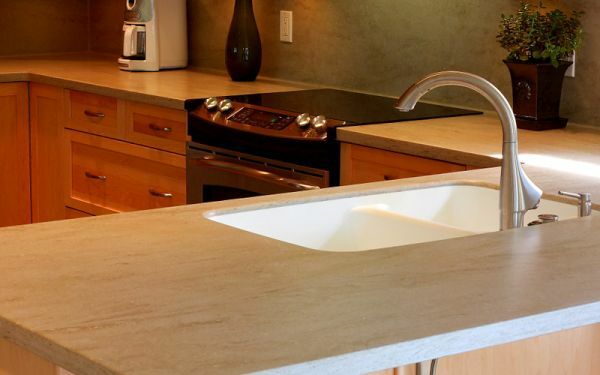 One innovative way to differentiate your countertop is to make it asymmetric. You can fuse different counters into one or rather have different heights in one counter. Take care but do not use more than three different levels or things would rather appear to be ridiculous. For me fusing the height of a bar counter with that of a regular counter is ideal. Well, many have done this to literally mean ‘deconstructing the kitchen’. The size and aesthetic grace of two rooms can be combined into one by knocking down a wall of the kitchen. Also, you can use an antique table from serving the meals as well as a countertop. 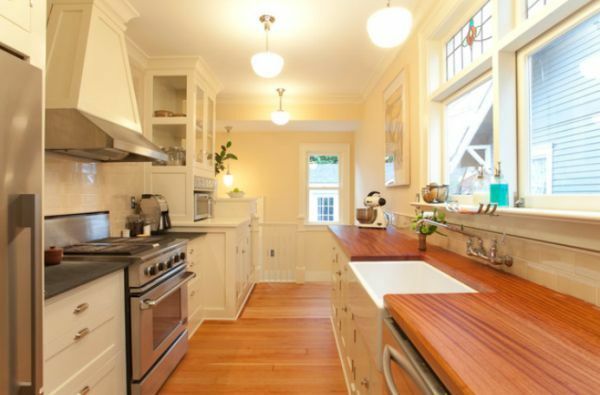 Addition of antique pieces in the kitchen will enhance the overall effect. I am sure that the ceiling and the floor have the potential to generate grace and sophistication in a room. You probably might agree on this one. Although, the floor is the one to create more impression, out of the two. Using a similar design wooden flooring and ceiling would enchant any onlooker. This is sure to bring coziness to your kitchen. Just open the door and reveal the surprise. Yes, I am talking about a pantry behind a strong door. 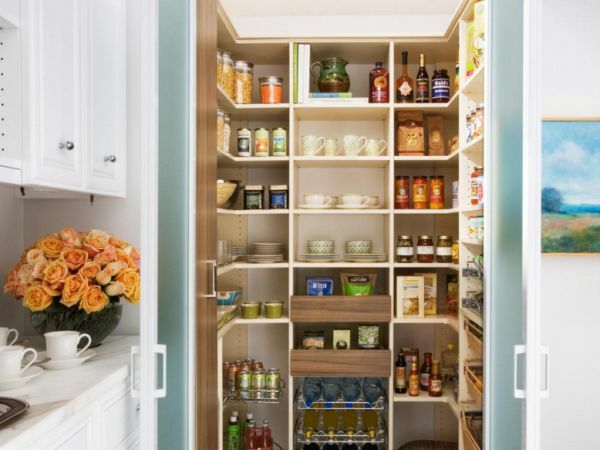 Installing ‘u’ channels behind the door will let you store a variety of items, especially the condiments. If you plan to install a huge door and plan a decent storage behind it, make sure the hinges are strong enough to bear the weight. Opposite the door, on the inside, could be a place to hang your utensils, so everything is neat and clean on the outside. 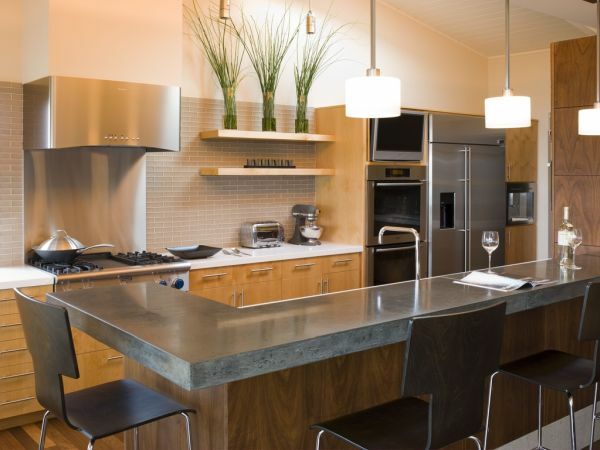 A deconstructed kitchen can elevate your cooking and eating experience in the kitchen. You can always start with the simple things like perforated metal sheets to see the results.